NSSF Fast Facts: Age-Based Gun Bans - Hornady Manufacturing, Inc. In the wake of the February 14, 2018 tragedy in Parkland, Florida, many lawmakers are understandably eager to take action to prevent another such event from taking place in a U.S. school or other public place. Unfortunately, the media and gun control advocates have defined the problem as one of age, rather than undertaking a more complicated analysis of the gaps in the government’s response to warnings about the mental health of the murderer. This 19-year-old expelled former student of Marjory Stoneman Douglas High School, entered the school with a semiautomatic rifle and several magazines. 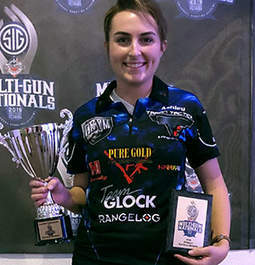 Since that tragedy, there have been proposals both in Washington, DC and in a number of state capitals to raise the minimum age to purchase a long gun from a federal firearms licensee (FFL) to 21 from 18. Firearms Ownership Is A Constitutionally-Protected Right. The Second Amendment inclusion in the Bill of Rights establishes that an individual’s right to bear arms is a fundamental right, just as the right to exercise free speech, practice religion, or vote in elections are available to law-abiding American adults to freely exercise upon their choosing. Denial of the full ability to exercise these rights, or to relegate Second Amendment rights to a second-class status, is a right denied. This was affirmed in 2008 by the U.S. Supreme Court in its District of Columbia v. Heller decision.i The majority decision affirmed the right of individuals to keep and possess firearms for lawful purposes, including the right to self-defense and stated that the bans on particular types of firearms, such as AR-15s, were tantamount to a prohibition on an entire class of “arms” Americans overwhelmingly choose for the lawful purpose of self-defense. AR-15s Are Among The Most Popularly Owned Firearms In America. Semi-automatic rifles, such as AR-15s, have been enjoyed by law-abiding Americans for more than 100 years. Contrary to inaccurate media reports and mischaracterizations perpetuated by anti-gun groups, AR-15s are not “assault weapons” and are not automatic weapons used by the U.S. military. The “AR” does not stand for “assault rifle,” rather it stands for ArmaLite rifle, after the company that developed it in the 1950s. Assault rifles do exist. They are fully automatic machine guns and have been severely restricted from civilian ownership since 1934. AR-15s, or Modern Sporting Rifles, are increasingly the firearm of choice of today’s firearms owner and recreational target shooter due to their accuracy, reliability and easy customization. There are nearly 15 million Modern Sporting Rifles owned by law-abiding Americans today who use them for lawful purposes, including self-defense, target shooting and hunting. These rifles function the same way as all other semi-automatic rifles: one bullet is fired for each pull of the trigger. Most objections to Modern Sporting Rifles stem from cosmetic features that have no bearing on the operation of the rifle, the rate of fire or the ammunition used. The fact that an AR-15 looks similar in color and in style to military firearms has no bearing on the functions of each distinct firearm. Bans On “Assault Weapons” Are Ineffective. 18 Year Olds Are Adults Under U.S. Law. At 18 years of age, an American may vote, enlist and may be drafted to serve in our military. If an 18 year old is old enough to defend our rights with an automatic, military firearm, and to die in service to our country, there is no reason to deny a qualified individual his or her Second Amendment right to own a semi-automatic firearm. A blanket prohibition on firearm ownership for those aged 18 to 20 is arbitrary and not supported by evidence that this will have an impact on criminal misuse of firearms. In fact, a review of mass shootings over the last 50 years found only one other instance of the use of a modern sporting rifle that was legally obtained by a shooter under the age of 21.vi Consider the impact made by the unconstitutional ban on handgun purchases for those in this age bracket. Data clearly show that gun violence is often committed by prohibited young men involved in gang activity, with illegal handguns as the firearm of choice. The age restriction does not stop criminals. It only stops those who follow the law, regardless of age. 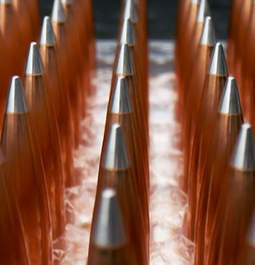 Firearms Industry Supports Practical Solutions. Effective solutions exist that will make our communities safer by ensuring unauthorized individuals do not have access to any firearm of any kind at any time. That includes criminals, those deemed mentally unfit, and children. As an industry, we support background checks and stood in favor of the Brady Act requiring all federally licensed firearms retailers to conduct an FBI background check when processing any transaction, whether in a store, at a gun show, or online. However, our members know that a background check is only as good as the records in the database. That’s why the NSSF launched the FixNICS® campaign in 2013 to encourage states to submit all disqualifying criminal and mental health records to the FBI’s National Criminal Instant Background Check System (NICS). 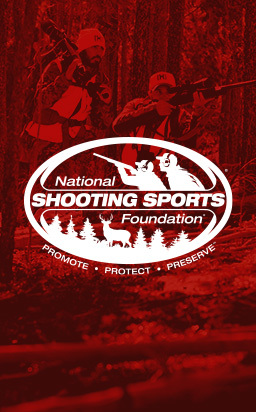 For more on NSSF’s FixNICS campaign, see www.FixNICS.org. Since its inception, 16 states have changed their policies and submission of disqualifying records increased 200 percent from 1.7 million in 2013 to nearly 5 million in 2017. NSSF supports U.S. Sen. John Cornyn’s (R-Texas) S. 2135, the FIX NICS Act of 2017, which would provide financial grants to the state to upload records and compel federal agencies, including the Defense Department, to submit all disqualifying records. In the wake of a tragedy, it is all too easy to apply a band-aid policy change and claim a problem has been solved. However, the gaps that remain in the system would not be addressed by denying lawful ownership to an entire class of citizens, just as existing unconstitutional age-restrictions on handguns have not solved gang violence among inner-city youth. It is important to remember that the Parkland tragedy did not occur because of the age of the shooter. It occurred because of the mental state of the individual, just as we have seen with other recent tragedies that involved older individuals with mental health problems. The fact remains that in the United States you are an adult when you turn 18. Your constitutional rights are fully vested, including the right to vote and the right to keep and bear arms. Any age-based gun ban would deny young adults their Constitutional right to self-protection without evidence that this would prevent the unlawful misuse of firearms. 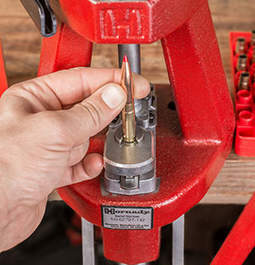 Hornady has a long track record of supporting the shooting and hunting industry through advocacy programs, including legislative action alerts and letters, educational initiatives, and promotions. 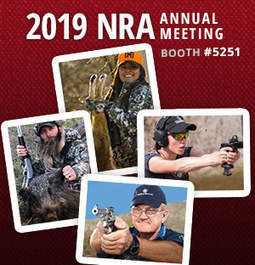 We work with the National Shooting Sports Foundation (NSSF), the National Rifle Association (NRA) and other trade associations to promote, protect and preserve hunting and shooting sports. ii Title XI, Subtitle A of the Violent Crime Control and Law Enforcement Act of 1994.